Today, forest products companies have a growing interest in digital transformation. But most industry players are not turning that interest into action—thereby leaving the industry lagging behind many others in taking advantage of new technologies. That’s a key finding of a recent Accenture survey1 of forest products employees that examined perspectives on digital technology, and compared them with those in other industries. We found that forest products companies have high expectations for digital technology. However, most do not have concrete strategies in place for ensuring that they are ready for a digital future. Overall, the study reflects an industry that is taking a cautious wait-and-see approach to digital technology. But with technology and business both evolving rapidly, sitting on the sidelines is no longer an effective strategy. Forest products companies need to begin taking comprehensive action—and the survey results point to some critical areas where they can focus their efforts. The research found that forest products companies believe that digital technology has the potential to drive significant business improvements. When asked what specific benefits are expected from digital, most survey respondents cited increased productivity (88 percent) and cost efficiency (86 percent), followed by agility, innovation and quality of work. When asked how digital is likely to increase competitive advantage, three of the top four responses—including better customer engagement, increased speed and agility in responding to customers and markets, and deeper insights into customer wants and needs—related to increased customer-centricity (Not surprisingly, lower cost structure was also among the top four responses.). Forest products companies would benefit from changing their approach—but how? The research identified three key areas where they could be missing important opportunities—and where efforts are likely to pay off. Digital technology has the potential to bring fundamental change to the way businesses operate, but forest products companies tend to take a narrow view of its impact. For example, just 11 percent are planning to use it to enable new processes and practices, compared to 34 percent of companies in other industries. Too many are thinking about how to use digital technology to do the same things better, rather than to do new things. Digital technology will enable—and often, demand—new business models. However, just 18 percent of forest products companies have strategies for evolving their models over the next three years versus the 44 percent cross-industry benchmark. In particular, digital technology can enable greater collaboration, especially with external partners. Today, that kind of ecosystem collaboration is seen as key to providing the flexibility and responsiveness needed for true customer-centricity—a top priority of the industry. Put simply, forest products companies should consider paying more attention to using digital technology to empower and enable the workforce. Digital has the potential to change the nature of work, making it more collaborative and flexible, while also increasing productivity. However, few in the industry are thinking about how digital can be applied to the workforce. Just two percent say they are prepared to use digital to transform the employee experience, compared to 33 percent of companies in other industries. On the other hand, there is a fairly high level of awareness about how digital will change work for managers. In five years, respondents said that the key qualities needed by managers will be people development, creative thinking and strategy development (See Figure 2). As routine administrative tasks are increasingly automated, the effective manager will need to be more hands-on and engaged—and spend far more time on problem-solving and enabling the workforce to perform. Making the most of digital technology requires significant change, and conventional wisdom tells us that the workforce is typically a key barrier to change. In the forest products industry, however, the opposite appears to be true. The survey found that 90 percent of employees think that it is critical to take action now to bring digital technology into the business. And 73 percent think positively about digital technologies and believe that they will enhance the work experience. In short, the workforce is ready for digital transformation. Leadership, however, appears to be less so. When asked about barriers to digital adoption, 37 percent of respondents said there is a lack of vision and leadership behind digital initiatives at their companies, and 43 percent pointed to a lack of necessary digital skills and capabilities in the organization—a possible reflection of leadership’s limited action in driving digital adoption. Today, effective digital transformation is less of a technology challenge, and more a matter of reshaping the organization to take advantage of new technologies. This forest products survey underscores that reality—and points to the industry’s need to focus on preparing leadership and enabling the workforce to take advantage of digital tools. This may sound like a human resources (HR) challenge, but such change should be led by the business—because digital initiatives need to be interwoven into many aspects of the organization and adopted with business strategies and goals in mind. Digital change should also be driven from the top. Leadership needs to broaden its thinking about the role of digital technology—which may require bringing executives on board who are prepared for a digital world. In particular, leaders need to create a comprehensive, clear vision for digital transformation—one that encompasses the workforce, internal operations and external ecosystem partners, and provides a coordinated approach to digital adoption across the company. With leadership providing that kind of direction, HR can play a critical role in accelerating the use of digital technology. It can use an enterprise-wide vision to tap into the workforce’s enthusiasm for digital tools. In turn, this can support HR’s efforts to shape solutions that improve the employee experience, provide training in new skills and processes, and strengthen recruiting programs to reach prospects—particularly younger workers—that have the skill sets needed for tomorrow. Ultimately, business leadership and HR can work together to move forest products companies forward on their digital journey. They can go beyond talking and thinking about digital technology, and take concerted actions to make digital transformation a reality in the industry—thereby driving the business benefits and competitive advantage they expect. 1 Accenture survey of members of Forest Products Engineers. See notes. 2 Digital Disruption Workforce Survey, Accenture Strategy, December 2015. See notes. Notes: There are two sources for all data cited in this blog. 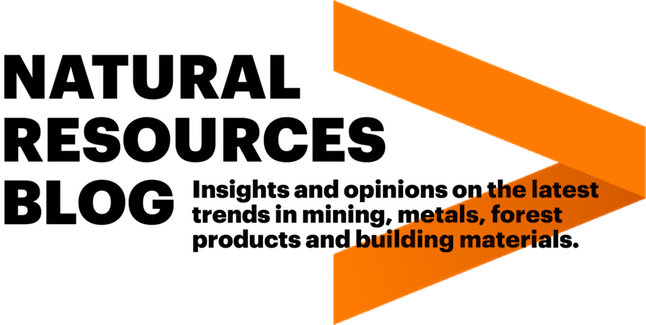 Data related to the forest products industry is from Accenture’s survey of 170 members of Forest Products Engineers, a network for professionals and corporations in the bioforest industry. The survey was conducted in December 2016 and January 2017. 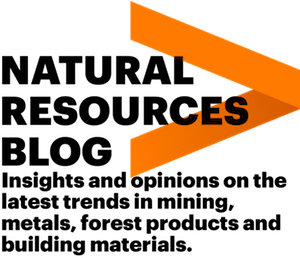 The global, cross-industry benchmark data is from Accenture Strategy’s Digital Disruption Workforce Survey conducted in December 2015.